Hortensia Road forms one half of a collaborative project with Grainger, the developer, to realise the full potential of two underutilised car parks that span the Royal Borough of Kensington and Chelsea, from the leafy Conservation Area of Kensington Square to the vibrant retail hub of the King’s Road. Hortensia Road is located on a prominent corner of the famous King’s Road in Chelsea. 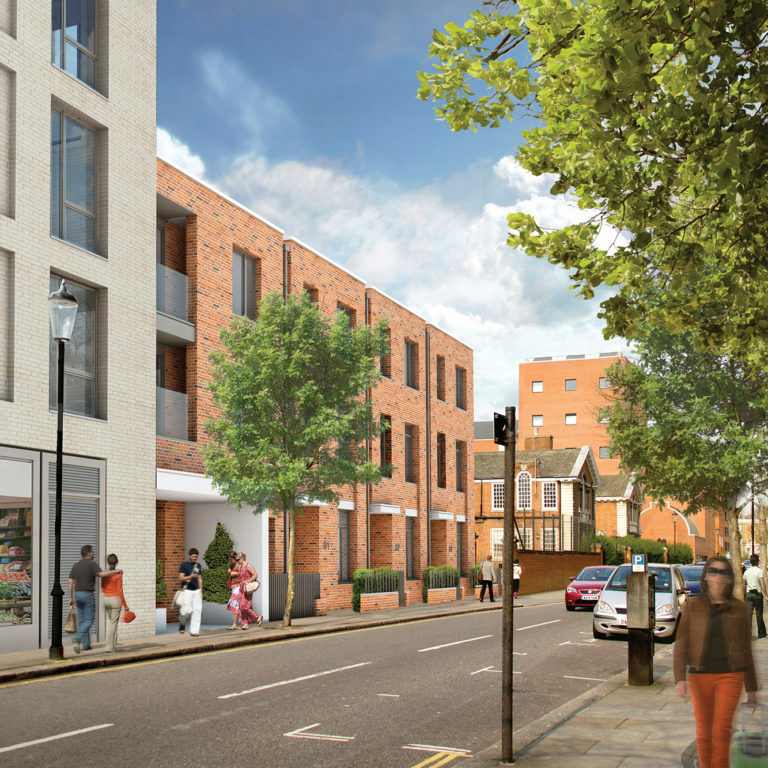 Following a detailed analysis of the local context, the 31 new homes are accommodated in a development with three buildings forms, each responding sensitively in height and materiality to the neighbouring buildings, and with commercial space at ground floor to add vibrancy to the corner site. 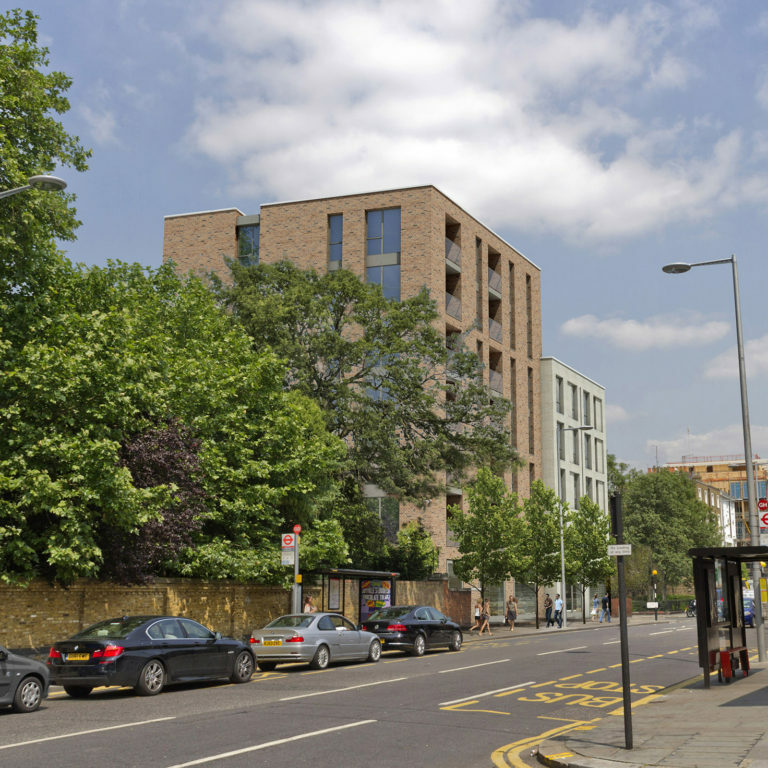 The residential accommodation includes six three-storey townhouses along Hortensia Road, which have exclusive access to a protected garden with children’s play space to the rear of the site.